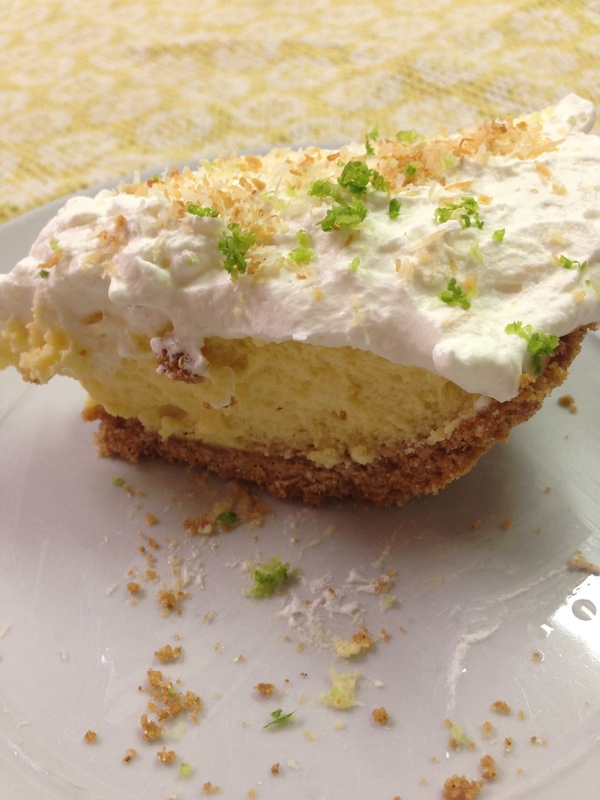 Norm’s Key Lime Pie – Fix. Serve. 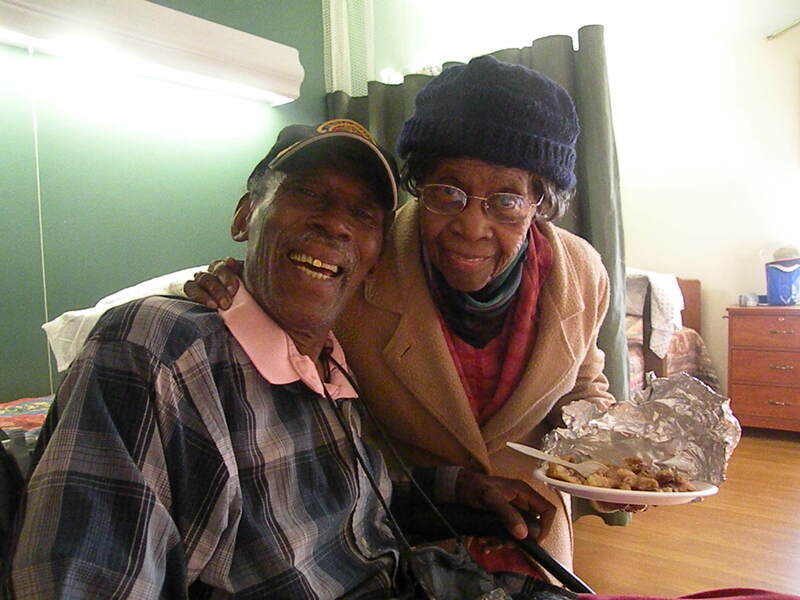 In 2014, two people who I baked food for passed away. One was a neighbor, Norm, and one was a virtual stranger, Mr. Eason. Their passings reinforced how central the serving component is to this blog. The links will take you to their stories. Serving others can be as simple as taking the time to acknowledge not only the people dearest to you, but those who intersect your life in varying degrees of closeness. We can fix food for family and friends, but the real work is in going one more step removed. A neighbor, a coworker, the stranger who serves you coffee, or even a person you read about who inspired you. The exercise here is to break out of our comfort zones so that we start to notice all the people who have had some significance in our lives. There are relationships to be made and the offering of food is a catalyst for conversation, sharing and simple human connection. In thinking about those who passed away this year, I am grateful that I took the opportunity to let them know how their lives touched mine. After all, isn’t that what we are all ultimately after? Acknowledgement that our lives have not gone unnoticed? I’ve been reflecting on what creates our legacies and they seem to be built largely upon what people notice about us. Legacies are not built on things acquired, titles, or public recognition. Rather, they are created when others take notice of how we live our lives when we are not asking to be watched. What we stand for, who we stand up for, if we stand by them when they are in need. None of us know our true legacy – they are bestowed upon us when we pass by the people who feel our absence. The legacy is created when those who knew us remember what they noticed and incorporate it into their lives, taking a small piece of us with them back into the world. That was Stanley, who also passed away at the very end of 2014. At his memorial, one of the speakers recounted a conversation they had with him. In talking about his philanthropy and his service to his community, he said that quite simply, he was not “fixing,” he was “making better.” The enormity of trying to fix something in its entirety can paralyze us, leaving us not knowing where to start. When the focus is on making something better, we can easily find a way to help. Though this blog is centered around the word “fix,” I’ve been careful not to use it to refer to fixing others. We are all varying degrees of broken, and while we’ll never be perfect, we can be in a constant state of “make better” – for ourselves, and for others. Norm, Mr. Eason and Stanley certainly made my life better for knowing them. And with all of them in mind, I will move forward through this world resolving to make things a little better. My neighbor, and Norm’s wife, Carol stopped over the other night. She asked if I was still making pies and as luck would have it, I was in the middle of a key lime pie experiment. Carol’s eyes lit up and she said that key lime pie was Norm’s favorite. There was no doubt in my mind that whatever recipe resulted from my endeavors would be Norm’s Key Lime Pie. I have no idea who owns the original recipe for key lime pie. It’s pretty hard to make it different because nearly every recipe is egg yolks, sweetened condensed milk and key lime juice. I mean really, see what you can do with that and let me know! I’m not a big fan of the heavy custard texture of key lime pie, so I added an egg white to give it a little more body. 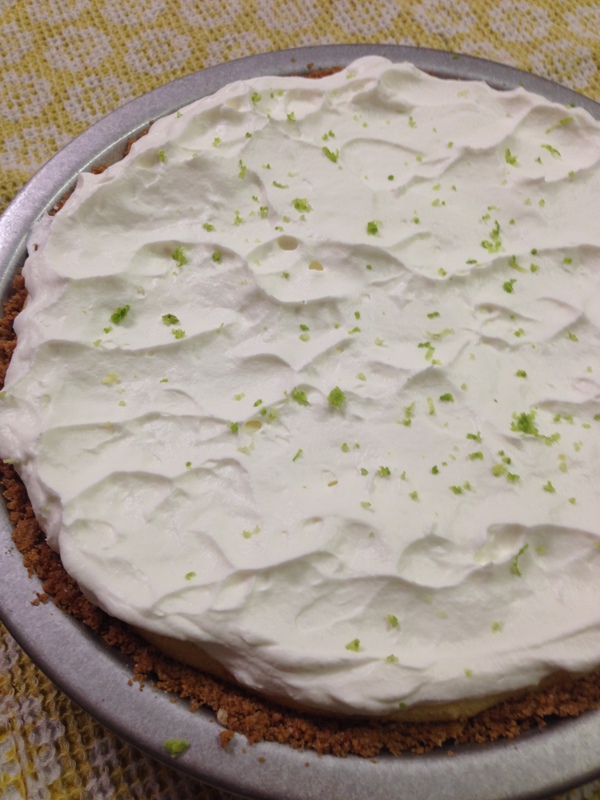 But the topping is where I think my key lime pie grew up a bit – a fresh ginger and coconut whipped topping. I’m a ginger fanatic and this was the perfect way to change things up a bit. Combine graham cracker crumbs, sugar and butter and mix well. Press into a 9-inch glass pie plate and bake for 10 minutes until starting to brown. Let cool completely. In a medium bowl, gently beat egg yolks then incorporate the condensed milk. Slowly add the key lime juice, mixing well. Fold in the egg white until the filling is well blended. Pour into graham cracker crust and bake for 20 minutes, until the middle is set. Let cool and then refrigerate for at least two hours or overnight. Prepare the whipped topping by placing 2 cups of heavy cream in a stand mixer with the wire attachment. Beat on high and add the sugar. Once whipped cream is sturdy, fold in 1/4 cup of the toasted coconut and 2 Tablespoons of fresh grated ginger. The coconut and ginger can be added to taste. When ready to serve, top the pie with the ginger coconut whipped cream and garnish with lime zest and reserved toasted coconut. Emily, this is beautiful. A busy wife, mom, and professional who makes time to serve others (and instill a value to serve others in your sons), you make dessert but your writing is food for the soul 🙂 So glad Amy had you for a college roommate – how ever would our paths have crossed! Carolyn – thank you so much for such kind words! You know, having known Amy for almost 20 years, I think she’s the one who planted the seed in me for always thinking of others. 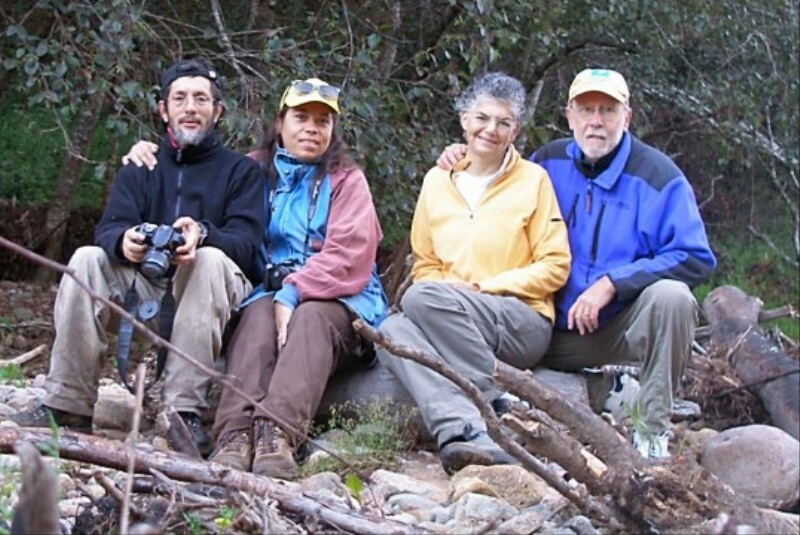 You have always been such a generous family and I’m certain our paths were meant to cross! Glad you left her crying in her dorm room that day… ha! Maybe instead of being ay varying degrees of broken, we are at varying degrees of whole.